Since ancient times, people have been drawn to the Italian peninsula, and they return again and again for the natural and artistic masterpieces, cuisine, climate, history, and culture. 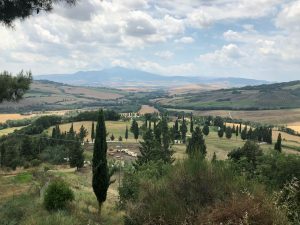 Even if you’ve been to Italy a dozen times, think you’ve seen it all, and know what to expect from this beautiful country, we guarantee there is more for you to explore with delightful surprises at every turn. Here are a few unexpected things to see and do in Italy. 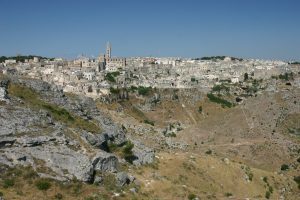 Capital of Culture 2019: Just outside the border of Puglia, the ancient town of Matera has had a recent renaissance. 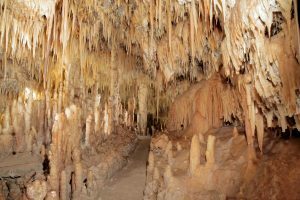 Despite being continuously-inhabited for 9,000 years, it was once considered Italy’s shame—a poverty-stricken backwater with people living in caves. Much has change—not only has it earned the title of European Capital of Culture for 2019 and a UNESCO World Heritage Site, but people are returning and building their life there. Even the caves are being modernized and turned into restaurants, guesthouses, and homes. 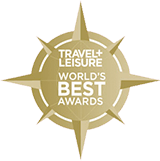 Join our Discovering Puglia. A Legend Comes to Life: As the story goes, the owner of this sword, San Galgano—a knight-turned-pious hermit—had an angel appear to him asking him to renounce all worldly pleasures. He was dismissive and said that was no easier than plunging this sword through the rock. Low and behold, the rock yielded like butter, and Galgano did what the angel asked. 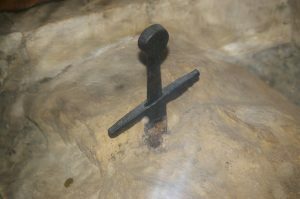 It has been embedded in the rock for centuries housed in a chapel overlooking the ruins of a 13th-century abbey. Join our Tuscany Culinary Immersion. Historical Landscapes: The entire Orcia Valley is a UNESCO World Heritage Site for its beauty and agricultural use. But there are lots of places that would fit this description, so why is this one special? What makes it so significant is that the landscape was changed by humans during the Renaissance to reflect the ideals of good land-management and beautiful imagery. The valley has retained those changes throughout the centuries. Join our Tuscany Culinary Immersion. Transportation with a View: You’ve heard of Italian hilltop towns. Stone villages were build thusly as a means of protection—they could see incoming visitors or invaders. Nowadays, they are quaint relics of a bygone era. 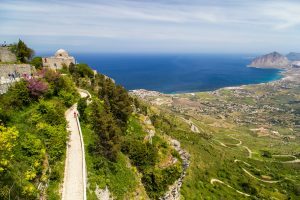 But more dramatic is Erice, located on the summit of a mountain—elevation 2,464′. A cable car whisks visitors right into town with panoramic views of the coast along the way. Join our Ancient Sicily Hiking. 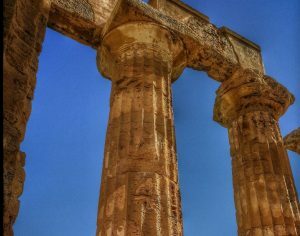 Surprising History: If you want to see the largest Greek city during the Classical Period, don’t go to Greece. Syracuse, located in what is now Sicily, was a powerful city-state and the birthplace of mathematician Archimedes. While the city has been built upon for centuries and is now a thriving, modern town. A large section of the ancient metropolis has been excavated and preserved in an extensive archaeological park. Join our Ancient Sicily Hiking. Volcanoes! While pasta, wine, Romans, and the Renaissance might be the first things to spring to mind when you think of Italy, it is a literal hot bed for volcanic activity. Everyone knows Mt. Etna and Mt. Vesuvius, but the little-know Aeolian Islands offer a volcanic scenery unlike that in all of Italy. 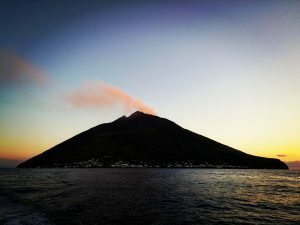 Watching lava spew from Stromboli or hiking to the crater of the island of Vulcano, you won’t believe you’re in the same country of Alpine peaks and rolling Tuscany hills. Join our Ancient Sicily Hiking and extend your trip to the Aeolian Islands.